I am a doctor, corporate executive, entrepreneur, author, and speaker. My wife (Jill), our 9-year-old daughter (Joie), our 6-year-old daughter (Jae), and our 1-year old golden retriever (Jessy) live in Tampa Florida and Newport Beach California. More than 350 million people of all ages suffer from depression worldwide. Many people experience depression and anxiety after extreme adversity, but then they grow. In the long-run, they arrive at a higher level of psychological function than before. Studies show that people who experience hardship in life are happier later than people whose lives have less pain and adversity. Well, 2016 is well underway. How’s it going for you so far? For us, it hasn’t started off so great. We had a tragic event occur on January 23rd. My wife’s 48-year old brother was hit by a car and killed, leaving a wife, two sons and our whole family in shock. Then, the following weekend, my mother was put into intensive care for heart failure – and is still in the hospital as I write this on March 7th (she's 83 years old, so it's never good when hospitalization is required this long). Fortunately, even with all the difficult circumstances we have faced so far this year, there is a lot for which we can be grateful. That’s past of what keeps me happy, and allows me to be motivated, optimistic, and productive, even with all the difficult circumstances we've faced so far in 2016. Before getting into the topic for this edition of the newsletter (which is about dealing with adversity) lets review the last edition of the newsletter (as we always do) which dealt with health - one of my main priorities in life, since my personal life mission is to be a positive, creative force for health and happiness. Once you read this ebook, you will learn why many of the health, fitness, weight-loss, nutrition, and longevity concepts we have all been led to believe for the past several decades are not true. 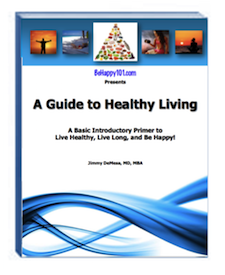 This ebook will give you the truth, and provide you many ways to live a healthier, longer life, with less chance of getting one of the many diseases so prevalent in our world today – diseases like cancer, heart-disease, obesity, diabetes, auto-immune diseases, Alzheimer’s disease, and even depression. These serious and deadly illnesses are much more common today than they were 50 years ago, and there is a simple reason – a reason the medical community, and especially the pharmaceutical industry, does not want you to know about. 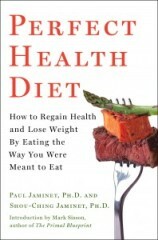 So, get the ebook now by clicking here and learn how to live healthier and longer, without the need for prescription medications or having to be on one of the many unsuccessful diets to try to maintain your ideal weight. Because of the way 2016 has started out for me and my family, I decided to make this edition of the Newsletter about dealing with adversity since our ability to be truly happy in life means we must be able to deal with life’s inevitable challenges, difficulties, and negative circumstances. Life is tough – meaning adversity is part of life. We all deal with it regularly. Some of our adversity relates to relatively “minor” issues, while some of our difficulties and circumstances are much more serious. The issue with all these types of adversity is how we deal with the challenges, problems, and negative circumstances we face throughout our lives, whether they are minor, moderate, or major. 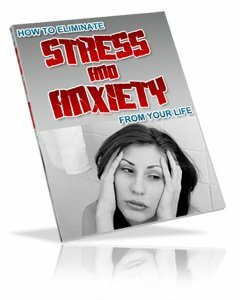 In fact, even relatively minor types of adversity can cause significant stress, anxiety, and even depression if not dealt with effectively (click here for a "stress list" developed by psychologists, which rates the common stresses and circumstances we may face in life). On the other end of the spectrum, people who face major adversity can be completely “stable”, functional, and truly “happy” if they deal with the adversity well. One of the first and most powerful keys to our ability to “be happy”, even when facing very difficult circumstances, is to be grateful for the good things in our life – rather than focusing on all the bad things, as many people do. As you have seen if you’ve looked at my “Happiness Formula”, gratitude is one of the keys to “eliminating unhappiness” from our lives. The more grateful we are for the things good things we have, the less the things we don’t have (or the bad things that happen) affect us negatively and, therefore, make us “unhappy”. If you haven’t yet gotten my free 5-Part Happiness Formula video course, click here or on the "Get FREE Access" button in the box above to get it now. As this “Happiness Formula” indicates, though, it’s not only gratitude that fosters happiness for us. There are obviously many facets to creating our happiest possible life. That’s what this whole BeHappy101 program is about. When it comes to dealing with adversity in our lives, though, gratitude is the first step. That’s because it forces us to focus on the positives rather than dwell on the negatives. In fact, mourning (which we must all go through when we lose someone close to us) is, by definition, a focus on the negative. The same goes for “feeling sorry for ourselves” when something else bad happens – like the diagnosis of a chronic illness, the loss of a job, or if your house burns down. By being grateful, the negative feelings associated with these circumstances are minimized, or perhaps even eliminated in many cases. Take these actions over the next sixty days and by the time you receive the next edition of the BeHappy! 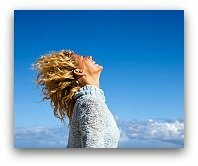 Newsletter (in May), you will have made great strides toward a happier, healthier, and more fulfilled life. Since we all deal with adversity in our lives, it is important to know how to best deal with this adversity in order to be truly happy – especially if you are dealing with some of the more “major” life difficulties. If that’s you, and you are dealing with any major negative circumstances in your life, then below are some immediate actions you should take. In fact, even if you’re not dealing with any really bad things right now, these strategies are ones you should keep in mind for when you need them (which you almost surely will at some point). In addition, even if you’re not dealing with major adversity, by incorporating some of these strategies into your daily life now, you can avoid the start of major unhappiness later, or even depression, as life comes at you. Start developing the “3 Great Things Habit": This is described fully here and is a great way to develop an internal attitude of gratitude, regardless of how good or bad your life is right now. Start doing this tonight and by the time you get the next edition of this newsletter in May, you will be much more grateful than you are today. Think about those people who really have it tough: If you’re not homeless (living on the street), or you don’t have a terminal disease with only months to live, or you haven’t been burned over 90% of your body, or you haven’t experienced the death of one of your children, or some other very real, major adverse life conditions, then, in the grand scheme of things, you may "not have it so bad", compared to others who are dealing with those significant kinds of issues. Click here to get more insight into this concept and learn more about how to use this strategy to deal with adversity. Consider joining a religious group or organization: Statistics show that people who belong to a religious organization and attend religious services regularly are happier than people who don’t. Obviously, this is just statistics and you can be just as happy either way, but when it comes to dealing with adversity - especially major adversity - the support available by being part of a spiritual or religious group (and the "faith" many people have for some greater spiritual life) can be very powerful and comforting when going through life’s major tragedies and challenges. If this kind of thing is just "not for you", then create your one support network of friends and family who can be there for you when life gets really tough (and you can be there for them, too). If dealing with adversity by joining a spiritual or religious organization might be something for you to consider, click here to read more about it can help. Take pictures and create memories: Click here to learn how just creating positive memories can make you more positive. 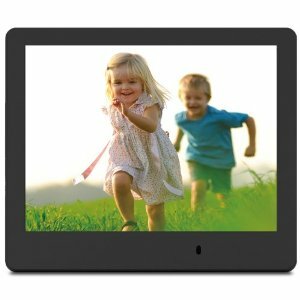 And, if you really want to do something that will put a smile on your face many times throughout the day, click on the "Order Now" button to the right to get a "Digital Picture Frame" for your home or office. You'll be amazed at how this simple strategy can make you happier and happier everyday - and help you deal with the tough side of life by helping you focus on all your great memories all throughout the day. Do the "Losing it All" exercise: Also known as "It's A Wonderful Life". Click here to learn about a great way to appreciate more of the great things you have and who you are. These are just some of the simple strategies for dealing with adversity in life. I suggest trying as many of them as you can, just to get a feel for how they can help change your perspective and ease any pain you may be experiencing due to life’s difficulties and challenges. A whole new "look and feel" will be coming to BeHappy101.com in 2016 so be on the lookout for some great changes to the website over the next six months. I think you'll like it. As always, there are new Quotes & Poems added to the BeHappy101.com website every month or two. At this point, there are well over 2,000 quotes there for you to read, use, and share. Click here to read the latest collection of quotes on happiness, success, wealth, motivation, and spirituality.